Born in Black Hawk County on a farm near Dewar, the son of Casper & Lena Seuffert Schmitt. 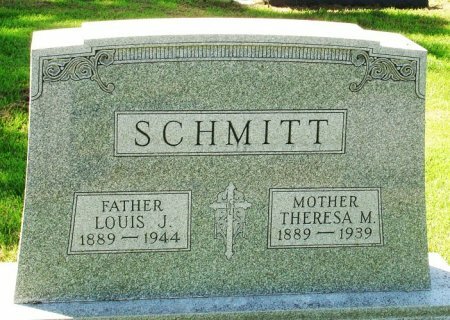 He married Theresa Muhlenhaupt on Feb. 23, 1914 in Barclay Township. Born on a farm near Tripoli, daughter of Charles & Minnie Muhlenhaupt (natives of Germany). Searching for LOUIS J. SCHMITT in Black Hawk County Iowa?